Sony's Attempt to Trademark "Let's Play" Foiled in U.S.
Sony Computer Entertainment of America's attempted trademark of "Let's Play" has been refused by The United States Patent and Trademark Office. Sony of America recently tried to trademark the phrase "Let's Play," only to have its efforts rebuffed by the USPTO. The reasons given were not because the phrase itself is so vague, or because it is already the title of countless YouTube videos, but because another company already owns a similar copyright. Let'z Play of America, a company out of Georgia that gamers with gaming events, has held their copyright since 2013. The Trademark Office found the two claims to be "confusingly similar." Just about every gamer has heard the phrase "Let's Play" before - many of us have even uploaded "Let's Play"s of ourselves. The users who create these videos, where they play through video games on camera while offering commentary, have had a difficult and complex relationship with the people who make and publish these games. 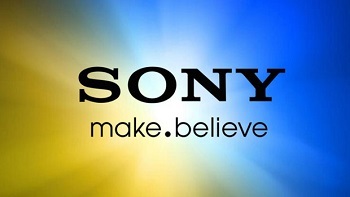 While we don't know what Sony's purpose was with the trademark attempt, it seems like it's another phase in the tug-of-war between fans and trademark holders. Nintendo has come under fire in recent years for its treatment of Let's-Players, eventually compromising with the controversial "Affiliates Program." Of course, there is much going on here that I can't claim to understand. It may seem obvious to us that leaving the Let's-Players be is the best option for any game company, but we should consider that there are motivations beneath the surface that are just as obvious to the ones who hold them. That being said, I'll open the floor to the Escapists. What are your thoughts on all this?